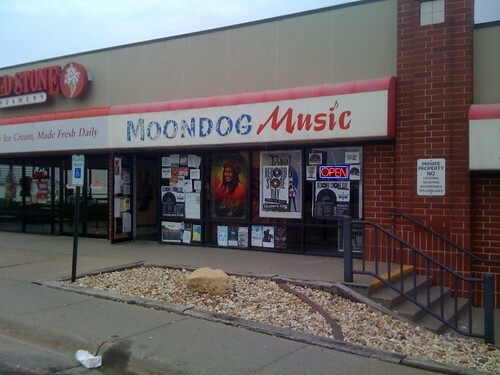 Published on November 9, 2008 in Bands/Artists, Downloads, In The Bins, Music and Vinyl. 0 Comments Tags: Beck, Black Mountain, box set, mp3 download, ryan adams, Traveling Wilburys, Vinyl. I turned forty this year and Sherry wanted to throw a big party for me that included family and friends. My family wanted to know what to get me so I advised Sherry to tell them “vinyl.” What I meant was “go to a record store that has used vinyl and pick something out– even if I might already have it.” What I got for vinyl was all new vinyl, but some very cool stuff nonetheless! Black Mountain – In The Future (2 LP, Jagjaguwar JAG90, 2008) (gift) This one was a complete surprise! While I was familiar with Jagjaguwar (home of blog-friendly bands like Okkervil River, Oakley Hall, Bon Iver, and Sunset Rubdown) but not Black Mountain. I’m floored by this album! Psych/Folk/Metal– would be a good companion to Thrill Jockey bands Arbouretum or Pontiak. 180g in a sweet gatefold. Also comes with 192Kbps mp3 download. I’ve listened to this album 5 or 6 times already on the iPhone, but I need to spend some time with the vinyl, for sure. The song “Wucan” was included in the Spiderman III soundtrack. The Traveling Wilburys – The Traveling Wilburys Collection (3 LP, Rhino R2 167868, 2007) (gift) Sheesh, this is the motherlode! This is the 180g vinyl boxset version of the much-awaited re-release of the Traveling Wilburys catalog. Most folks know the story: Petty and Jeff Lynne were working together around the same time George Harrison was working on Cloud 9 and ended up working together with Dylan on “Handle With Care.” This spawnned the most unlikely supergroup ever when they included Roy Orbison. The first album took off with two huge singles. Orbison passes away but the group decides to carry on and record the sarcastically-named Traveling Wilburys III. Time passes, the catalog goes out-of-print, Harrison passes and Petty feels like he shouldn’t perform any of the material until Harrison’s widow requests it. This starts the ball rolling to get the albums back in print. Thankfully, too, as the eBay prices for the album were approaching $50, not to mention all of the bootlegging that was happening. This box includes both of the albums plus an LP of bonus material from the singles and b-sides. The box includes a booklet of history and non-history of the band. The LP’s are in their original sleeves, and the box includes a set of postcards that must have been used to promote the records when they first came out. Ryan Adams and the Cardinals – Cardinology (LP, Lost Highway B0012195-01, 2008) ($17.95) I’ve written about this on the blog before. This is the very limited pressing of Cardinology that comes with special artwork done by Leah Hayes. It is pressed in Red, clear vinyl and came with a special 7″ and a comic that illustrates the lyrics of the album. Amazing version of this album and completely blows-away the likely “robot cardinal” black-and-blue cover of the future pressings. Comes with the same 320Kbps “vinyl rip” mp3 download. According to posts Ryan has made to his blog, he is considering making his next release a vinyl-only release, which would be interesting. 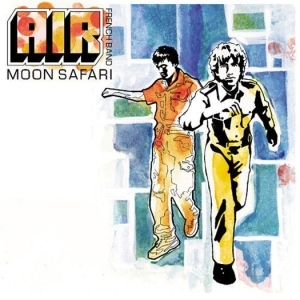 Air – Moon Safari Reissue Blues : What’s Missing? 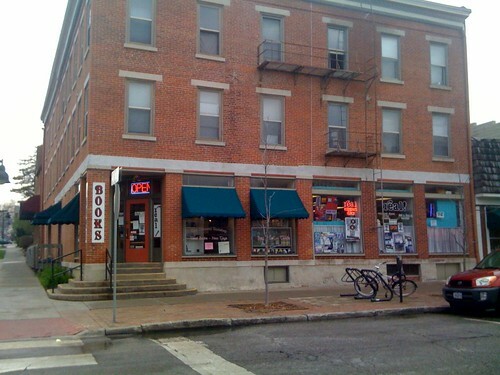 Published on February 29, 2008 in Bands/Artists, Music, Retail, Reviews and Vinyl. 0 Comments Tags: Air, anniversary, Astralwerks, Beck, French Band, Moon Safari, reissue, Virgin. Per the folks at Pitchfork (who heard from NME) Air’s landmark album Moon Safari will celebrate its 10th anniversary with a deluxe reissue. This reissue will bundle the original album, plus a disc of bonus material, and a DVD documentary ( Air: Eating, Sleeping, Waiting & Playing directed by Mike Mills, who did the cover art and some of the videos for Moon Safari). The release will happen March 31st on Virgin in the UK and April 15th on Astralwerks in the US. So, the rest of the tracks on the bonus disc are new– even to me. That’s enough of a reason for me to buy this. The Time to play b-sides archives for the beck tag.